Top 10 Healthiest Foods On Earth – Are Any Of These Super Healthy Foods There In Your Checklist? Are you really playing safe with your stomach? Just take a moment to recollect what have you eaten since morning! Are any of the foods healthy? Here is a ‘rare to find’ checklist of Top 10 healthiest foods on earth. Yes, foods that are super healthy to guide you towards the right eating habits so that it favors not just your stomach, but your overall health! What makes these 10 foods exceptional to qualify them as foods that are super healthy? Top Ten 10 Healthiest Foods – Why Call Them Foods That Are Super Healthy? You have to back me up on this point. Including all the essential nutrients in their natural form during the early stages of your life is very much wiser than choosing them in the form of capsules in the later stages of your life. Yes! I’m talking about the nutrients that are hidden in these foods which makes them super healthy and worth giving the top 10 positions. To make your living much better, you have to make up your mind to include all the 10 super healthy foods in your regular diet come what may! #1. Let’s Start With Yogurt! It is quite a natural habit of healthy eaters to keep a cup of fresh yogurt in the store, always! Do you have one? If not, inculcate this healthy habit because here is what makes Yogurt a healthy eaters’ favourite food! Why Is Yogurt One Among The Foods That Are Super Healthy? A cup of fresh yogurt supplies your body with almost every nutrient that your body requires for a healthy survival. Yogurt is a great source of proteins especially Greek yogurt. (Greek yogurt has higher proteins when compared to a regular yogurt). If you are looking forward to losing weight successfully, a daily consumption of Greek yogurt is the best way to go since it reduces your calorie consumption by curbing your appetite. It would be really unfair if I do not mention the probiotics in yogurt because it is the presence of probiotics in this healthy ingredient that makes it one of the healthy foods to eat. Probiotics are the healthy bacteria (rarely found) which help in improvising your gut health more precisely, your digestive health and they also aid in making your immune system stronger. Needless to say, the calcium content and vitamin D present in Yogurt improves your bone strength, keeping you away from osteoporosis and osteoarthritis. 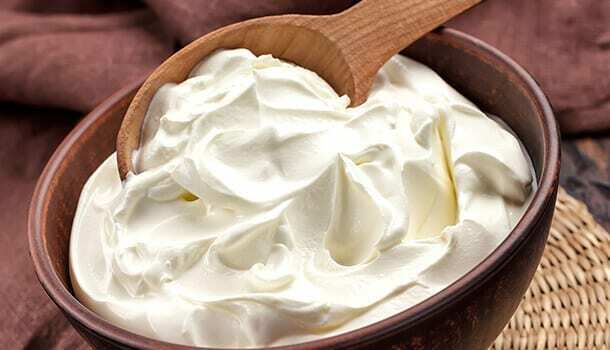 How To Make Yoghurt Your Favourite Food? Always choose a fresh and plain yogurt and not the flavoured ones (since flavoured yogurt is added with sweeteners). Try choosing low-fat yogurt for the best health benefits. It is usually recommended to consume 2 -3 cups of Greek yogurt on a daily basis (one cup being equal to nearly 8 fluid ounces). So, the best way to include yogurt in your diet is to have a refreshing cup soon after your meals. #2. Spinach – How Often Do You Eat Popeye’s Favourite Food? You will be surprised to know that the cartoon has actually increased the consumption of spinach by one third in America and there is definitely a reason why the creators have chosen to include spinach as Popeye’s favourite food. Eating spinach keeps your immune system healthy by reducing the oxidative stress (the reduction is vital for fighting free radicals which keep on damaging the healthy cells). Two important antioxidants Lutein and Zeaxanthin present in spinach help in improving your vision. 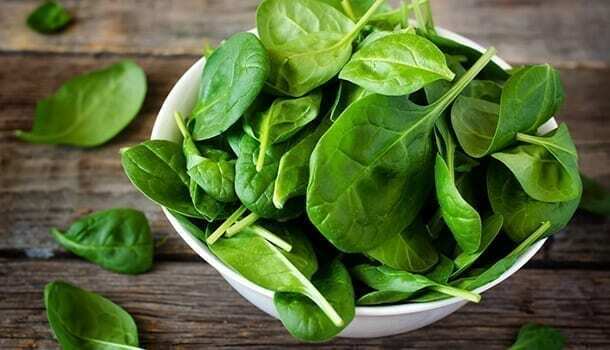 Good amounts of nitrates present in Spinach control your blood pressure levels which keeps your heart healthy. Also, vitamin K in spinach prevents excessive bleeding when an injury or accident occurs because of Vitamin k that clots the blood. A regular consumption of spinach is said to reduce the probability of cancer and a few other chronic diseases. All credit goes to an antioxidant called Kaempferol. Consuming spinach is going to add bulk to the stools, thereby helping in an easy digestion. This is because spinach contains insoluble fibre. Don’t the facts make it impressive enough to list spinach in Top 10 super foods that are healthy! How To Make Spinach Your Favourite Food? You can include any other leafy vegetable other than spinach to enjoy some amazing health benefits but spinach has all the above mentioned fantastic health benefits which makes it stand in the healthy food list. The best way to consume spinach is to prepare simple sautéed spinach. You just have to fry some chopped garlic in extra virgin oil and add spinach leaves after 2-3 minutes. Cook for 5 minutes and squeeze a half slice of fresh lime. Drizzle some salt, crushed red pepper and serve it hot & delicious! #3. Eggs – How Many Eggs Should You Eat Per Day? Eggs are certainly the simplest, tastiest and healthiest foods on the planet. Eating one-two eggs per day is all you need to gather almost all the healthy nutrient that your body requires for a healthy functioning. Researches have proved that eating 2 eggs per day continuously for 2 months will increase the amounts of HDL (good cholesterol) and decrease the amounts of LDL (bad cholesterol) in your body. People with high HDL and low LDL are safe from cardiovascular diseases. Eggs are the greatest source of proteins. Proteins not only give you strength but they also reduce your blood pressure, aiding in a good heart health. Consuming eggs helps you to lose weight because they keep you occupied for longer periods and reduce your hunger levels. It is the yolk inside the egg that helps in improving your eye health because of huge amounts of the antioxidants (Lutein and Zeaxanthin) present in them. How To Make Eggs Your Favourite Food? People who hate to cook would probably be loving eggs because cooking eggs is super easy. You just have to boil an egg for 15 minutes, slice it into two halves, drizzle some salt and pepper to have a tasty starter for your breakfast and your lunch. #4. Why Are Flax Seeds Healthy Foods To Eat Everyday? Do flax seeds deserve to be in the top 10 foods that are super healthy? Yes, Absolutely! These small, tasty, and crunchy seeds that you have been ignoring all the while having some amazing health facts that are going to blow your mind! A much more amazing fact is that just a tablespoon of flax seeds (which would be weighing around 7 grams) is all you need to gain a good amount of omega-3 fatty acids, decent amounts of fibre and proteins along with some healthy minerals and vitamins. If you are a vegan, consider yourself blessed, because while meat eaters gain their omega-3 fatty acids through fish sources, you can gain them by simply munching a pack of these healthy seeds. Lignans, present in flax seeds have amazing antioxidant properties that can reduce the risk of cancer (Especially breast cancer in women who have reached a stage of menopause). Well, the seeds also benefits men because they can reduce the chances of Prostate and colon cancers. How To Make Flax Seeds Your Favourite Food? Do you love eating chips? If yes, simply replace them with some finely roasted, salt drizzled, crunchy and tasty seeds. Have a handful of them to munch on them during your snack time to make the most out of these foods that are super healthy. Well, Berries are all healthy but there is something so distinctly special about blueberries which makes them healthy foods to eat everyday. Apart from containing a fresh sweet taste, blueberries contain several important nutrients and particularly low calories which adds them into the healthy food list. Out of all the vegetables and fruits you know, blueberries contain the highest number of antioxidants that are essential for improvising your overall health. Blueberries help in reducing the blood pressure by 5% and you do not need more than 50 grams of blueberries per day to attain a balanced blood pressure. Your brain can function much smart because of blueberries since they have several beneficial antioxidants in them. People suffering from diabetes can largely get benefitted by blueberries because these fruits help in improving the insulin sensitivity which therefore helps in the maintenance of proper blood glucose levels. Blueberries also prevent Urinary tract infections as the compounds present in them attach themselves to the walls of the bladder and prevent the attack of bacteria like E.coli which is responsible for causing Urinary tract infections. How To Make Blueberries Your Favourite Food? The best and super delicious way to consume blueberries is to top your cup of fresh Greek yogurt with some tasty sweet blueberries to make your mealtime appetizing. #6. What Makes Beans Stand In The List Of Foods That Are Healthy? Beans are a great source of protein, and we need protein to maintain healthy hair, for the formation of strong bones and for a healthy muscle development. Consuming beans on a regular basis can help in a quick weight loss because the proteins in beans help in curbing your hunger levels which makes you eat less. Beans contain good amounts of folate in them which reduces the symptoms of general weakness, mood swings, shortness of breath and irregular heartbeats. Polyphenols which are a group of antioxidants present in beans help in preventing free radicals which may otherwise cause cancer. People who consume beans on a regular basis are less susceptible to heart diseases. Beans also help diabetic patients by controlling the blood glucose levels. The best way to keep up your gut health is to consume beans on a regular basis. How To Make Beans Your Favourite Food? The best and healthy way to consume beans is to add them into your stews, salads or soups. #7. Sweet Potatoes – Why Are Sweet Potatoes One Among Top 10 Healthy Foods To Eat? One significant benefit of sweet potatoes which makes it highly beneficial to your gut health is its high fibre content. People suffering from constipation can consume baked sweet potatoes on a daily basis to speed up their bowel movement. Beta-carotene present in these popular vegetables which are also called yams gets converted to vitamin A when you consume them. Since we are speaking about why sweet potatoes are considered one among those foods that are super healthy, we must acknowledge you with the most surprising fact about the peel of sweet potatoes. Anthocyanin present in purple sweet potatoes helps in improving your eye vision. How To Make Sweet Potatoes Your Favourite Food? Add cooked potato slices to your sandwich along with carrots, tomatoes and cheese to make a healthy breakfast. You can also substitute your potatoes in your recipes with some healthy Yams. Meat eaters are lucky enough to find the best and simple source of seafood that provides numerous health benefits including a successful weight loss. Consuming salmons helps in the reduction of belly fat, decreases your appetite and boosts the metabolism, all of which are essential for a healthy weight loss. Including salmon, in your diet, at least two times a week can improve your brain functioning and reduce the chances of memory problems that show up with the onset of age. The most common chronic disorders like diabetes, cardiovascular diseases and cancers can be prevented through a daily consumption of salmon. Salmon is considered heart healthy because of a special antioxidant (Astaxanthin) present in it that helps in reducing bad cholesterol (LDL) and increasing the good cholesterol (HDL). Selenium present in this variety of fish helps in improving the functioning of your thyroid hormone and also strengthens your bones. How To Make Salmons Your Favourite Food? You can prepare an easy salad by using hard-boiled eggs, tomatoes, avocados and a little bit of fresh lettuce along with fresh canned salmon. With garlic containing rich nutritious properties along with fewer calories and some best medicinal properties, no wonder it is included in the list of foods that are super healthy. Consuming garlic through your regular foods can help you to stay away from flu and fevers since it has excellent antioxidant properties in it. People suffering from high blood pressure can consume garlic on a regular basis to keep their blood pressure in control. Though garlic does not have any impact on your good cholesterol, it can decrease your LDL which keeps your heart healthy and safe. How To Make Garlic Your Favourite Food? You can simply chew a chopped piece of raw garlic once in a while to enjoy the benefits. Try using garlic more often into your soups, stews and spicy dishes. Dark chocolates may not taste as sweet as regular chocolates. In fact, it is the presence of cocoa in dark chocolates which makes them taste a little bitter. But, the nutritious benefits of dark chocolates (because of the presence of cocoa) are quite impressive which makes this delicious ingredient the best foods that are super healthy! Studies have proven that the consumption of dark chocolate has reduced the chances of heart diseases. So, the best way to put your heart in a safe zone is to eat dark chocolate once or twice a week. Ever wondered why certain moisturizers are made of cocoa? It is the flavonols in cocoa that protect our skin from the harmful ultraviolet radiation. Cocoa also helps in a better circulation of blood when consumed orally. Cocoa helps in improving the cognitive abilities and enhances the overall functioning of the brain. Apart from this, dark chocolates have a huge number of antioxidants which boost the immune system. How To Make Dark Chocolate Your Favourite Food? Well, it would be pointless to tell someone to befriend a dark chocolate because everyone loves chocolate. You just need to replace your regular chocolate with dark chocolate to enjoy all the above-mentioned benefits.